Any future plans? Some. I am still tossing around the idea of getting the factory trunk lip spoiler as I do think the car looks quite good with it. An aftermarket cold-air intake and cat-back exhaust is still up for consideration. 18 inch versions of my current wheels and a coil-over suspension setup is also on the list. At the end of the day though, I still highly enjoy driving the car as is, so really, I think the only thing for immediate consideration is just a different set of brake pads. 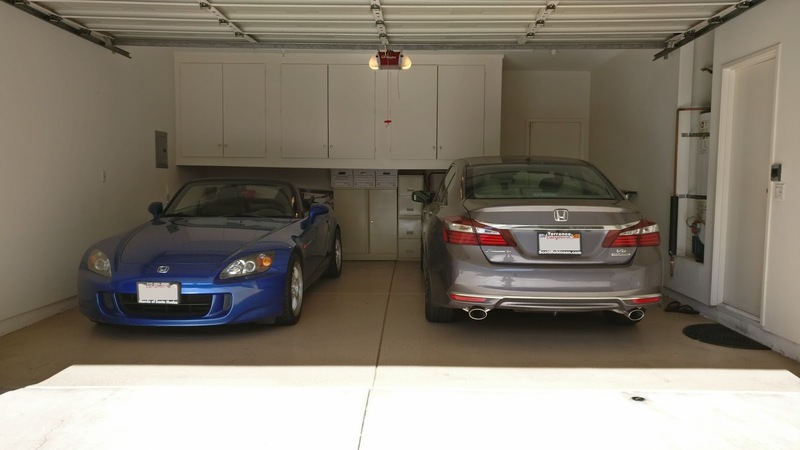 Two things are starting to bother me about my S2000 though. The first thing is all the paint chips developing on the hood of the car. When I bought it seven years ago, many of the paint chips were already there. It has only begun to dawn on me how many chips there are. Do I want to have the hood repainted, but risk the paint shop screw up the color matching? Do I want to just swap the hood out for a carbon fiber one? There are quite a few things to consider with both options, but getting the hood repainted or replaced is not exactly a pressing matter. It is definitely more an aesthetic thing that does not impact the drivability of the car at all. The other thing that has started bothering me is the front bumper. I never really thought the S2000 was that low to the ground until I began noticing how often I would scrape the lower part of the front bumper coming down some driveways. The last time I washed my car, I ran my hand across the underside of the front bumper and noticed how scratched up it was. It is definitely not visible, and it is not anything noticeable until you kneel in front of the car and look closely. Still, it bothers me enough to start thinking about solutions on how to fix it and how to prevent it from happening further. I think until some more major updates happen with my S2000, there will be fewer posts about it. While there are plans for the car, nothing really matters until I am able to execute those plans. In the interim, our long term updates will be more focused on the rest of the cars in our long-term fleet.